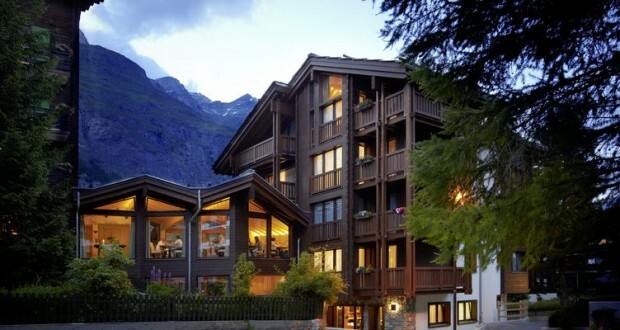 This hotel enjoys a quiet and sunny location in Zermatt, a 10 minute walk from all 3 cable cars. It offers a new spa area and free access to Wi-Fi. Most rooms at Hotel Europe have a balcony and offer splendid views of the Matterhorn. All rooms have individual and tasteful furnishings and a minibar. The spa area offers 2 saunas, a steam bath, a hot tub and a massage room. Massages are organized upon request. Every morning a generous buffet breakfast is served. Dinner includes delicious dishes accompanied by one of the fine wines from the extensive list. Guests can also sip their favorite beverage at the modern bar.